September 15, 2017 – A new cycle of the NASA iTech initiative kicks off today with a call for technical solutions to fill gaps in areas identified as having a critical impact on future space exploration. The request for a five-page white paper is the first phase of NASA iTech Cycle 3, part of a collaborative initiative to find and foster innovative solutions from small and large businesses, universities, non-profits, U.S. government organizations outside of NASA and undiscovered inventors. 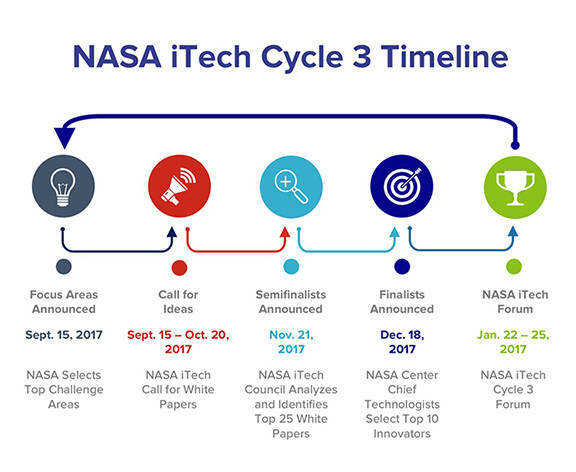 Inventors and entrepreneurs can enter NASA iTech Cycle 3 at the NASA iTech website through October 20, 2017. The technology focus areas for NASA iTech Cycle 3 are: artificial intelligence, augmented reality advancement, autonomy, high performance computing, and medical breakthrough. 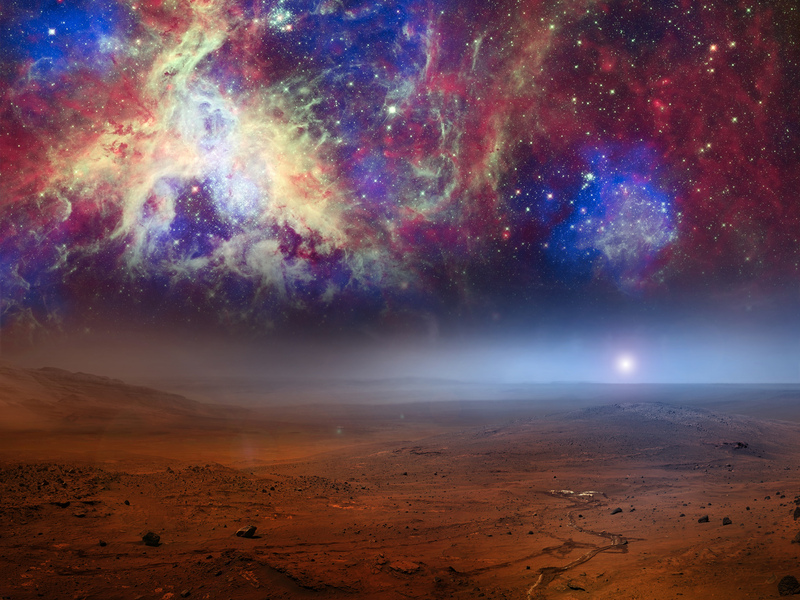 The popular Cycle 2 category, X-Factor innovations, has been kept for Cycle 3 to allow for groundbreaking ideas or technology that may not align precisely with another specific focus area, but could still make a significant impact on future exploration efforts. The NASA iTech white paper and application process makes it easy for anyone with potential solutions to participate. A panel of subject matter experts will review ideas submitted within the application window for Cycle 3 and down-select the top 10 finalists based on their relevance and potential impact in the technology focus areas. The top 10 finalists will be invited to present their ideas to NASA’s top technologists, space industry leaders and potential investors at the NASA iTech Cycle 3 Forum, slated for late January 2018. NASA iTech is an initiative by the NASA Space Technology Mission Directorate and managed by the National Institute of Aerospace in Hampton, Virginia.